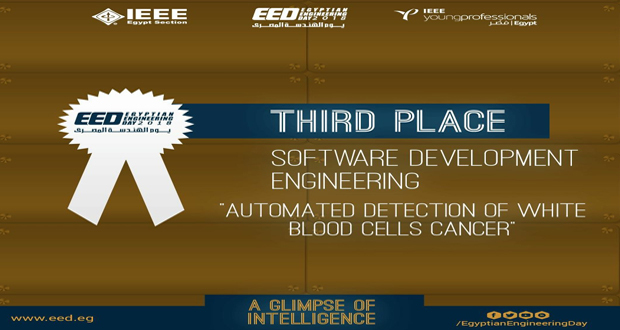 The Faculty of Computer Science in MIU is proud to announce that the senior students of class 2017/2018 group (Automated Detecting of White Blood Cells Cancer) won third place at EED (Egyptian Engineering Day) in the Software Development Competition which was held from the 15th till the 16th of September 2018 at Al-Azhar Conference Center (ACC). The project ranked third out of many different projects submitted by 37 different universities. The team was supervised by Dr. Ashraf AbdelRaouf, Dr. Taraggy Mohiy and Eng. Nada Ayman and included Ali Essam, Hend Sabry, Nermeen Saeed, and Rowan Omar. The main idea of the project (Automated blood cancer detection) is to improve the accuracy of blood tests. Automated blood cancer systems should provide quick results with high accuracy, decreasing false positive and false negative cases. So, the team proposed a system for detection of white blood cancer diseases. 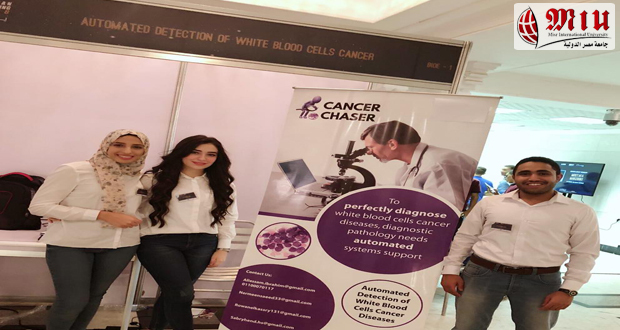 It aims at detecting several types of white blood cancer diseases like Leukemia and Myeloma, in addition to improving the accuracy of results and to delivering faster results. the project also aims to decrease the false positive or false negative diagnosis. The system will be desktop-based in which blood sample images are acquired and the system processes them to classify them as positive or negative. It also shows which subtype of the disease it corresponds to and if it is an early or late stage. 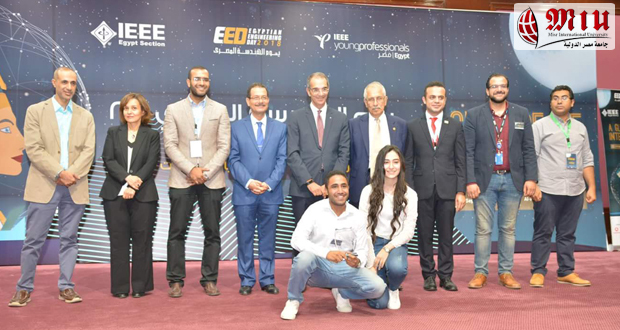 EED is organized by IEEE YP Egypt on a yearly basis since 2002, including Graduation Projects Expo, Special interests forums highlighting new market trends and business opportunities with focus on the exquisite each interest might need, Orientation on how to start-up your business and entrepreneurship, management, and soft skills workshops given by training professionals.